This video teaches how to construct a rosary the less expensive way by making the chain between the decades and Our Father beads by hand, which is a little easier on our budget. For those who find this technique too difficult, we do provide the ready made chain and jump/O rings (for attaching the centers and crucifixes). They are more costly but may make it a little easier for some of you to make the rosaries with. We do not wish to discourage you so please make the rosaries using whichever technique you prefer and are most comfortable with. 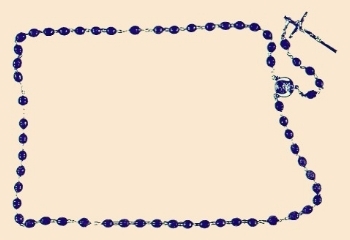 We are happy to provide you with whatever supplies you need to make the mission rosaries.